For years, people thought loyalty-card status determined the chance of a hotel-room upgrade. Not anymore. We've entered a new travel-industry era, where your powers of persuasion, niceness and creativity can land you a better room. When it comes to a hotel-room upgrade, ask and you shall receive. After all, for years everyone thought the color of your loyalty card determined the chance of a hotel-room upgrade. And while status still can make a difference, there’s a new rule in effect for anyone who wants a better room: You get what you negotiate. Jordan, a business consultant from New York, recently used that strategy at a luxury hotel in Miami. The front-desk clerk asked him if he’d ever stayed at the property. I’ve followed the hotel industry for years, and, like many guests, I’ve become disillusioned with our collective and often thoughtless obsession with loyalty. Being so status-conscious loses sight of the traveler in the here and now and the potential of a guest to become a lifelong customer. Now there’s evidence that the hotel industry agrees. Simply put, relationships matter. Even if you don’t travel enough to achieve elite status, but you travel frequently to the same location, try to stay at the same hotel and get to know the employees, says Gina Fleck, director of loyalty at HelloWorld, a company based in Detroit. Fleck says it can be something as simple as having a conversation with someone at a front desk. A co-worker did that on a recent hotel stay, where she returned to the same property several times over a month. “She made it a point to always chat with the front-desk staff, and was always upgraded to a two-bedroom suite despite paying for the smallest room in the hotel,” Fleck recalls. Peter Hoagland, a consultant from Warrenton, Virginia, says developing relationships with management has also improved his odds of a hotel-room upgrade. He researches the name of the manager and then reaches out to that person before his hotel stay. Hotel general managers are some of the busiest people in the travel industry, but they are usually happy to hear from guests, and even happier when they’re not contacting them with a complaint. Hotels also look for unconventional ways to give away a hotel-room upgrade. Take the Kimpton hotels in Philadelphia, which often offer free upgrades to guests who book through a specific link on their Instagram page (@kimptoninphl). “We’re always looking for new ways to engage with our followers and reward them for their interest and loyalty,” says James Adamson, the general manager of the Kimpton’s Hotel Monaco in Philadelphia. The take-away? We’ve entered a new travel-industry era, where your powers of persuasion, niceness and creativity can land you a better room. A special event. Honeymoons rank high on the list. Doron Nadivi, the chief marketing officer for an online travel company, says he’s scored an upgrade by telling the front-desk employee he’s on his honeymoon. He even admits to doing it more than once, which I don’t condone, but hotels will try to make your special occasion more memorable if you ask. A special circumstance. If you’re thinking of coming back to the hotel and bringing a big group with you, mention it. If you’re planning to return again in a month or a year, say something. Anything that sets you apart as a more valued customer can sway a hotel to upgrade you. A special need. 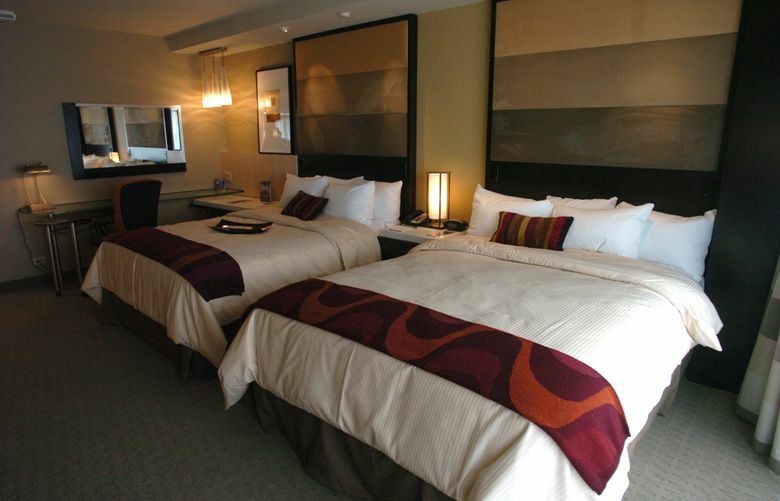 Some of the larger rooms are more disability-friendly. If you need extra room to accommodate a wheelchair or walker, the only room that might fit you is a suite. Don’t be shy about asking.